Shown below our wired M2400 wireless system, we now have hand held wireless systems and laptop computer driven systems. We have both wired and wireless helicopter weighing kits in stock. We have 3 cell kits and we have 4 cell kits. 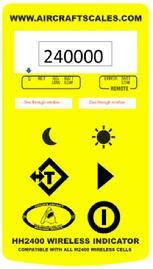 No matter what you need is, just call us and we can support your requirement with one of our kits. 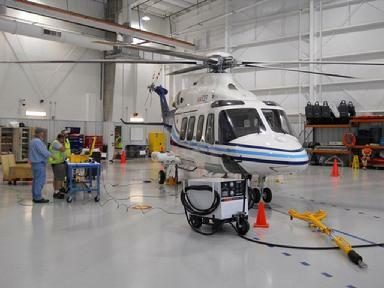 AW139 being weighed on our standard M2000-3-10CS wired kit. 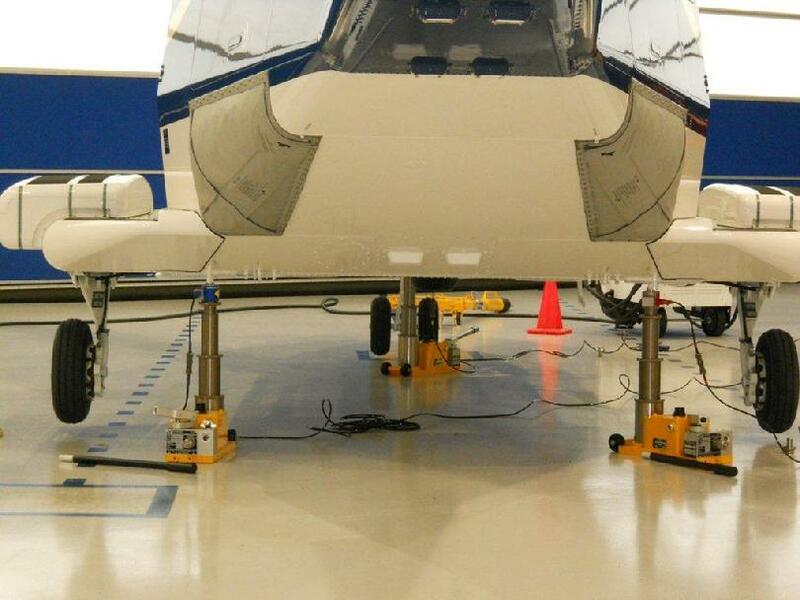 Please note, this helicopter is on Agusta type jacks, we also support top of jack mounting on Tronair jacks as shown above. Our new wireless helicopter scale system runs on our HH2400 Hand Held or we can supply a standard laptop or net book computer running Windows 7 or 8. 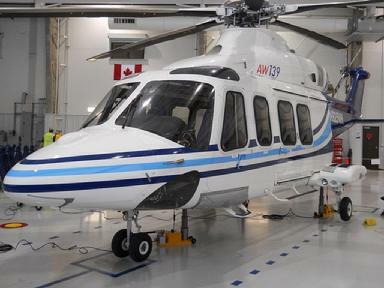 AW139 on our M2000-3-10CS helicopter scale kit. $7295.00 Top of jack load cell mounting, kit can be used for most other helicopter weighing applications as well.